“When you can’t breathe, nothing else matters,” once a tagline of the American Lung Association, today it might easily describe what is happening in many areas of the ocean. Hypoxia, the lack of oxygen in our estuaries, coastal and deep ocean waters, is on the rise and endangering marine life around the world. Its causes are a complex mix of excess nutrients and our warming world. 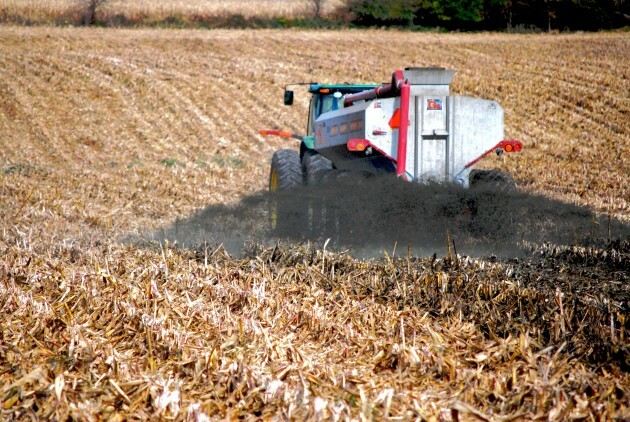 Agriculture, human waste, and rising levels of atmospheric CO2 underlie these changes. Denise Breitburg, senior scientist at the Smithsonian Environmental Research Center in Edgewater, Md. near the Chesapeake Bay, answers a few questions about marine hypoxia. Breitburg and Lisa Levin of the Scripps Institute of Oceanography were co-authors of a recent article on ocean deoxygenation in the journal Nature Climate Change. Q: Where does hypoxia occur in the ocean? Breitburg: It occurs in estuaries, along our coasts and in the deep ocean. 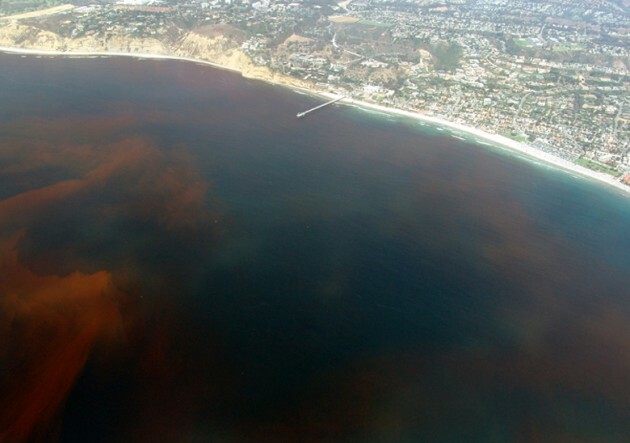 In estuaries, the areas where fresh and salt water meet, and in some coastal waters, hypoxia is caused by overstimulation of algal growth by nutrients from human activities, primarily agriculture and human waste. Some nutrients are OK but large amounts result in too much algae. Algae that aren’t consumed by animals die and decompose in great quantities. Decomposition depletes the oxygen in the water causing low-oxygen zones. Basically, many microbes use oxygen and release carbon dioxide when they respire, just like people do when they breathe. In the deep ocean, deoxygenation is mainly a natural phenomenon. Oxygen is mixed into the water at the surface but once you reach a certain depth you no longer get much benefit from that mixing. 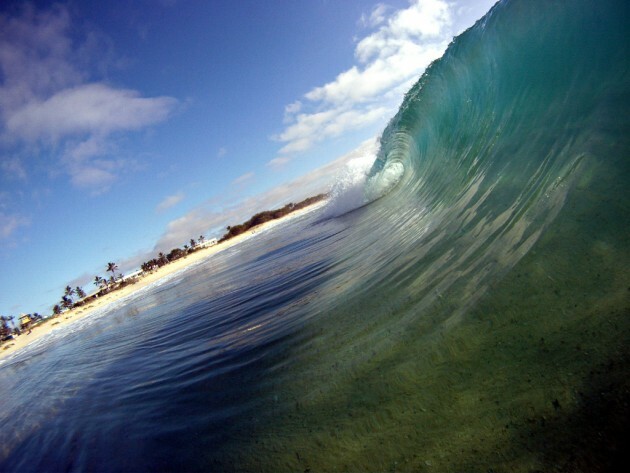 In addition, organic matter produced near the ocean surface can wind up sinking to bottom waters. Microbial decomposition of this organic matter depletes the deep oxygen and creates large deoxygenated zones. 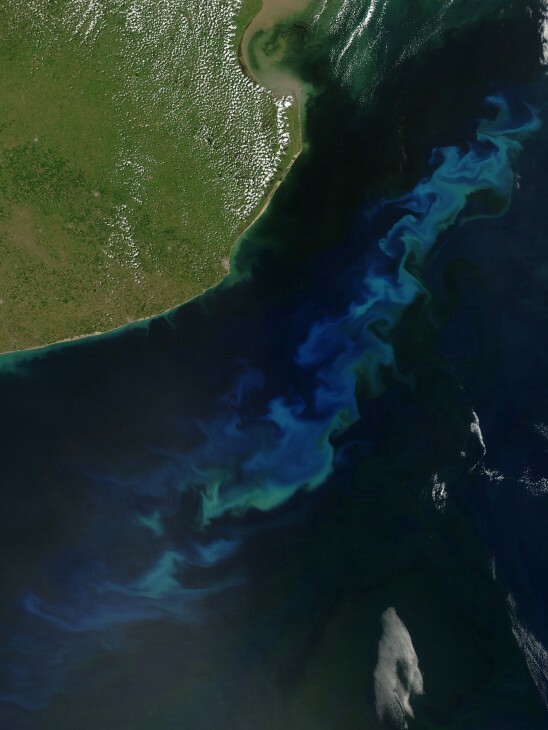 Coastal and open-ocean hypoxia have long been regarded by scientists as distinct, but our world is highly interconnected. For example, there is some evidence that nutrient enrichment from human activities, a known cause of coastal hypoxia, could also increase deeper water low oxygen zones. Some systems, such as the Gulf of St. Lawrence, experience hypoxia that appears to be caused both by nutrients coming from land and the inflow of deep oceanic water that is naturally low in oxygen. Q: Do deep water hypoxic zones stay down deep? Breitburg: No. Deep areas of low oxygen water become a problem when they upwell near shore, bringing their very low oxygen waters right up to the shallows. The upwelling also brings nutrients to the surface, which is one reason we have incredibly productive fisheries along the west coasts of many continents including North America, South America and Africa. Upwelling of deep ocean water is caused when a combination of persistent longshore winds and the earth’s rotation push coastal surface water out to sea. In response, deep water moves up to bathe the continental shelves in hypoxic water that is also more acidic than open ocean surface water. Warming atmospheric temperatures very definitely affect wind patterns that cause this upwelling. Continental margins, shelves and estuaries around the world that were previously well oxygenated, now experience hypoxia either seasonally or episodically. For example, upwelling is creating seasonal dead zones on the inner Oregon Shelf. Q: What happens to marine animals during these events? Breitburg. Animals like bivalves, worms or corals that can’t easily swim away from areas of low oxygen are especially vulnerable, but even fish that are strong swimmers can be trapped and killed. Low oxygen levels in oceanic and estuarine waters can alter food webs, growth rates, and make organisms more susceptible to disease. If a low-oxygen event is severe or long-lasting, it can have a devastating impact on a region. This can translate into a loss of the ocean resources humans depend on. Q: Would removing nutrients from estuaries help? Breitburg: It’s not a matter of trying to get nutrients out of the estuaries or the ocean. It’s a matter of trying to reduce what we are putting in. If we turn the spigot off, these systems will, over time, clean themselves up. In some cases it would be very quick, maybe a few years, not necessarily hundreds or thousands. There are a lot of efforts worldwide to reduce nutrients going into estuaries and other coastal waters. Some of them have been very successful. Some are making slow incremental progress. Overloading a system with nutrients is a problem that is much better to prevent than to try to correct. Earth’s oceans are losing their breath. Here’s the global scope Smithsonian ecologists to examine “dead zones” in Chesapeake Bay with $1.4 million NOAA grant Acidification, Low Oxygen Can be Deadly Combination for Fish Bottom-dwelling creatures in the Chesapeake Bay need more oxygen, study finds.